Jonathon "Boogie" Long was born in Baton Rouge, Louisiana with the blues coursing through his veins. He first picked up a guitar, at the age of six, trying to play old Gospel songs due to the fact that he was brought up in a Southern Baptist Community. He started taking lessons at the age of eight and from there everything just came naturally. By the age of twelve he was playing out regularly at local blues clubs and events. At 14 he got out of school and started touring full time, playing bass with Henry Turner, Jr. & Flavor. In addition to playing, with Turner, on the 2003, 2004 and 2005 Louisiana Legends Tours, other tours with top musicians included Chris Duarte, Kenny Wayne and Tyree Neal on the Chitlin' Circuit, the college cover band circuit with 2Hipnotic and currently he plays with Big Luther Kent and his 12-piece big band, Trick Bag. Some of their performances include slots at the 2008, 2009, 2010 and 2011 Jazzfest. He has shared the stage with artists such as Dr. John, Rockin' Dopsie, Monte Montgomery, Lou Marini and Steve Howard of the Blues Brothers Band, Ellis Hall, Kenny Neal, Larry Garner, Henry Gray, Lil Ray Neal and many others. Currently he fronts his three piece Blues/Soul band, The Blues Revolution and plays with Luther Kent, when time allows. 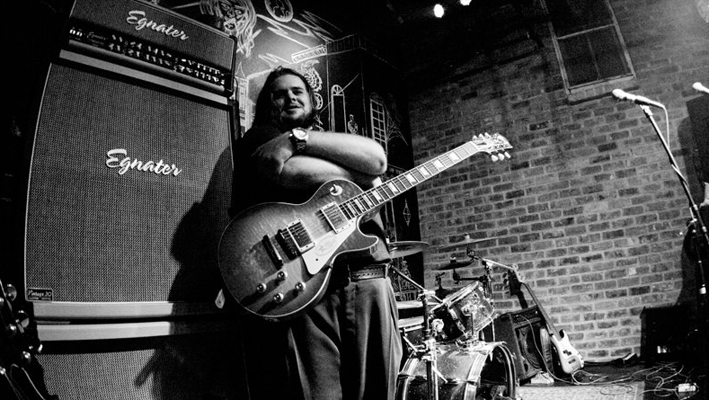 Recently, he won the Guitar Center's "King of the Blues" competition for the #1 Unsigned Blues Guitarist in America. Part of the prize package was a studio session with Grammy Award winning producer and guitarist Pete Anderson, with led to the release of his first EP, Jonathon "Boogie" Long, "The Pete Anderson Sessions." The production consisted of three original songs, "Bad Karma," "The Dealer" and "Do Right Woman," that were recorded at The Nest Studio in Glendale, California between October 17th and 23rd, 2011. Still a good Southern boy, he plays bass on staff at the Fellowship Church in Zachary, Louisiana, but it's his powerhouse performances, Smooth vocals, inspirational songwriting and monster guitar playing that make him a 'must see' for the upcoming 2012 touring season.